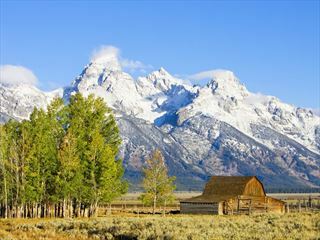 An 11-night family adventure, exploring some of the most beautiful National Parks including Yosemite, Zion, Bryce Canyon, Monument Valley and the Grand Canyon. Most nights you’ll be camping, allowing you to experience the real beauty of these landscapes at close quarters. 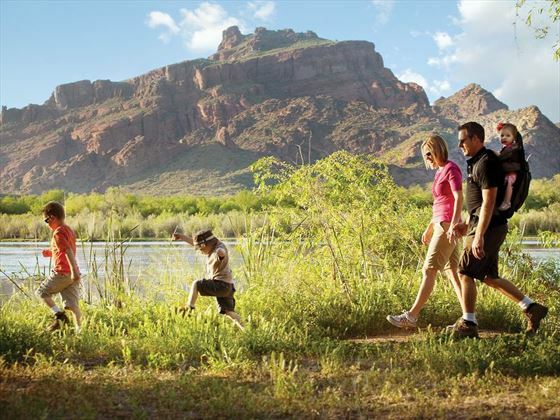 You can choose from a range of family friendly activities, from swimming in Lake Powell to a float trip on the Merced River, from western horseback riding in Bryce Canyon to cycling in Yosemite. 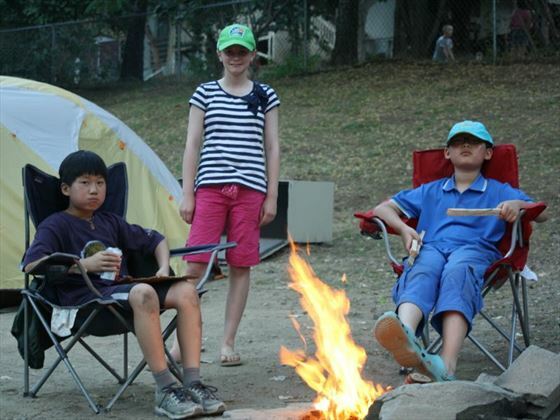 With a maximum party size of just 13 and the services of a professional tour leader, you can be confident of some fabulous experiences on this two week family camping holiday in the western states of America. Join your group this evening in Vegas. You will be heading west in the morning, so can you choose to add a few days in Vegas before the tour starts if you would like to enjoy the attractions of this fun-filled city. This morning begin your authentic American journey on an original section of Route 66, stopping in the charmingly historic town of Seligman to enjoy a real slice of Americana. You will then head to the iconic Grand Canyon, so prepare to have your breath taken away by its epic proportions. Break free from the crowds and venture deep into the canyon, walking either down to Ooh Aah Point or to Plateau Point for incredible views looking both up and down. Or you can choose to take a stroll along the rim trail. Another option is to take a scenic helicopter flight to enjoy another perspective on this natural wonder of the world. In the evening, you have the opportunity to visit the IMAX Theatre to learn the history of the Canyon. 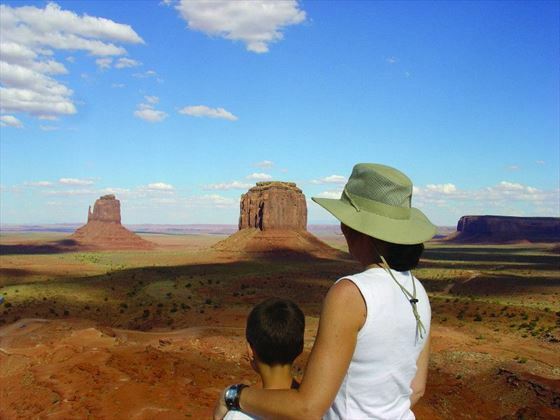 Follow in the tracks of Forrest Gump along the famed stretch of road to Monument Valley. With a Navajo guide, learn more about the Native American culture and way of life on a tour of the backroads. Tonight the adventure continues when you sleep in a traditional mud Hogan – the traditional dwelling of the Navajo people made from wooden poles, tree bark and mud. Today you’ll be heading east towards the mighty Colorado River, taking a break at Horseshoe Bend to marvel at the amazing views. You destination this afternoon is Bryce Canyon with its facinating natural "hoodoos", an amphitheatre of white, orange and pink sandstone spires. Hike amongst the Navajo rocks or take the Queens Garden trail where you can photograph the constantly changing colours as the sun makes its way across the horizon. Then it's on to Kodachrome Basin State Park where you'll settle into the campsite and experiece true desert life and enjoy some fmaily time. 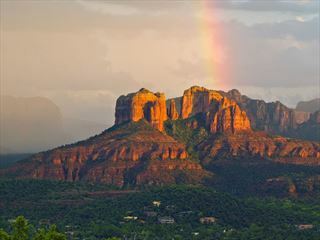 With two nights in Zion National Park, you will have time to explore this astonishingly beautiful area, with soaring mountain peaks and deep valleys. Opt for the easy, pretty hike to the Emerald Pools or the more adventurous can climb to Angels Landing for 360 degree views of the spectacular scenery. 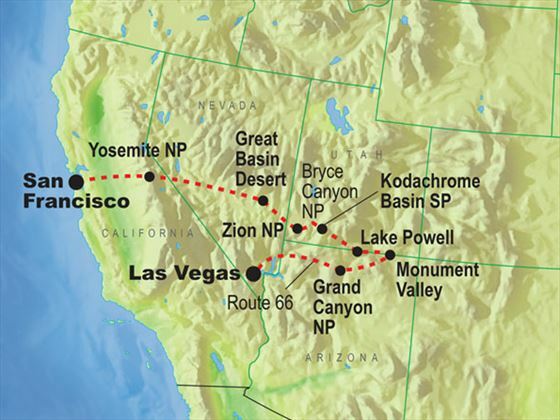 Today you will drive west into California, travelling along the Extraterrestrial Highway, skirting the eerie shores of Mono Lake and traversing the 10,000 foot Tioga Pass in the Sierra Nevada mountains. The next two days will be spent in the stunning setting of the Yosemite National Park. The hiking in the park is spectacular, and a must is a walk along the Mist Trail to Vernal Falls. You can opt to go cycling in the valley, or float down the Merced River on an inner tube. All the time, remember to keep your eyes peeled for some wildlife spotting. The final day takes you into San Francisco, where you will have a brief tour of the highlights and a chance to walk across the Golden Gate Bridge. Your tour may come to an end, but you can choose to add-on a few more days in this captivating city. Flights home today must be booked for departure after 9pm. A post night in San Francisco may be required. The majority of nights on this tour will be spent camping so that you can experience the most breath-taking natural scenery at close quarters and enjoy a truly authentic experience. Campgrounds are selected either for their scenic beauty or for their convenience to the places you’ll explore. All the necessary equipment will be provided including spacious dome tents, self-inflating sleeping mats, camp lights, and all kitchen & cooking equipment. You will need to bring a warm sleeping bag and a pillow. A key part of this tour is helping out around the campground and everyone sets up and packs down the camp together. The tents are very easy to set up and take down and your tour leader will give you all the guidance you need. Two nights will be spent in hotels, as shown in the itinerary. All meals whilst camping are included in the price of the tour. The Tour Leader coordinates the local shopping and assists the group in creating healthy, hearty breakfasts, picnic lunches and delicious dinners. Breakfasts may include fresh fruits, cereal, toast, juice, milk, coffee and tea. Fried bacon or sausage, pancakes or eggs will also be available on more leisurely mornings. Lunches are typically picnic style. Evening meals range from grilled meat, fresh fish or chicken dishes, as well as occasional regional specialities such as Mexican food or BBQ’s. Vegetarian options will also be available. If you have a special diet, then feel free to bring any particular foods, beverages or whatever you need. Be sure to let us know at time of booking and we’ll do our best to accommodate you. Two nights will be spent in hotels on this tour, as shown on the itinerary, and here you will be able to choose when and where you eat, with all meals payable locally. An essential part of these family activity holidays is getting the whole group involved and helping out around the campground. With guidance from your tour leader, everyone sets up and packs down the camp together. The high quality tents are very easy to set up and take down on your own, and the tour leader will show you how. Typically it takes only 15 minutes to set up the tens and the camp kitchen. Please don’t bring more than one medium sized suitcase, soft holdall or rucksack (maximum 20kg) and your sleeping bag. Small hand baggage may also be carried inside the vehicle. When you are staying in hotels we recommend an average budget of $50 per day to cover all meals, snacks, drinks, tips and general spending. In addition to this you should also budget for optional activities you would like to participate in. Some sample costs are listed in the What's Included section.